Looking for a nutrition plan unique to you which means your chances of success are higher? The Blood Type Diet may be for you. Our blood type contains the genetic message of our ethnic background. 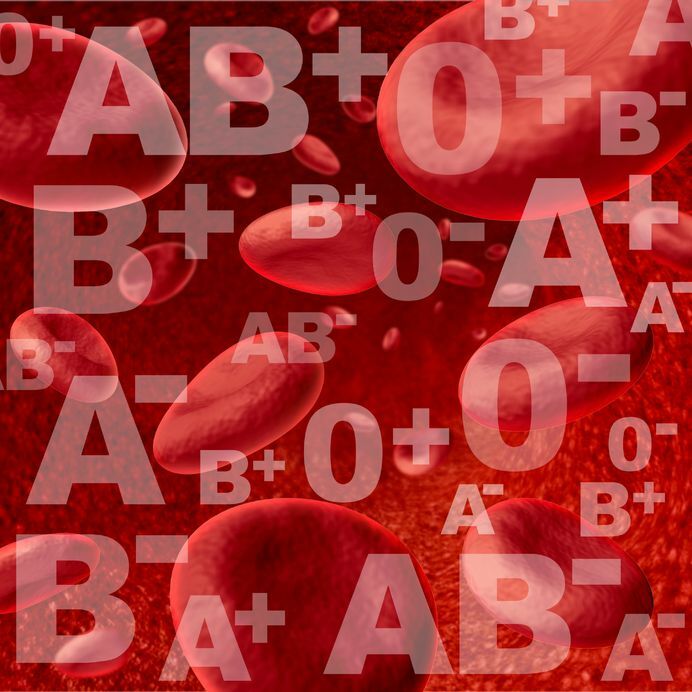 Each blood type (there are four — O, A, B, AB) is named for its biochemical differences found in the antigens. Antigens are chemical markers found on the cell membranes in our bodies. They spark the production of antibodies, which are the basis for our immune systems. Imagine little antennae sticking out from cell membranes. These antennae are composed of saccharides (sugars, but not your basic table sugar!). Each of the four blood types has different combinations of the eight basic sugars in their antennae. Blood type O has one sugar (fructose) as the basis of its antennae. Type A has two antennae and uses two sugars (fructose plus n-acetyl-galactosamine). Type B has two sugars (fructose plus d-galactose). Type AB has all three sugars found in the other three blood types. We have found that blood type indicates potential allergies/sensitivities and disease potential more than any other factor. However, we also found that it is not totally effective without an understanding of metabolic profiling. Step 3: Download your custom food Food Puzzle. You know your blood type, you know your fat burning rate which tells you the correct metabolic profile for you, now download your customized food puzzle. Step 4: Get Started! In order to increase your success rate, we suggest you ease into your Food Puzzle. Don't go crazy, through everything our and start 100% with the Food Puzzle. A sudden, drastic change in your diet could cause detoxing effects such as headaches, weakness, dehydration, the feeling you are coming down with the cold or flu and so on.